Saturday marked the first day of a journey within myself. You’ve joined me on the blog discussing new lifestyle choices like switching my beauty, skincare and cleaning products to organic and natural and taking a more conscious effort to what I wear with choosing brands that have an eco-mandate, etc. Those are all great places to begin your journey to a natural way of living but I decided it was time I take a deeper look into my life and start on the inside. This has to be one of my favourite posts that I’ve written because it is something that I’ve recently become so passionate about and I’m still learning terminology and ways of usage but I really wanted to share it with you while I begin. I’m going to be defining terms at the end of this post so you won’t be left lost in translation! 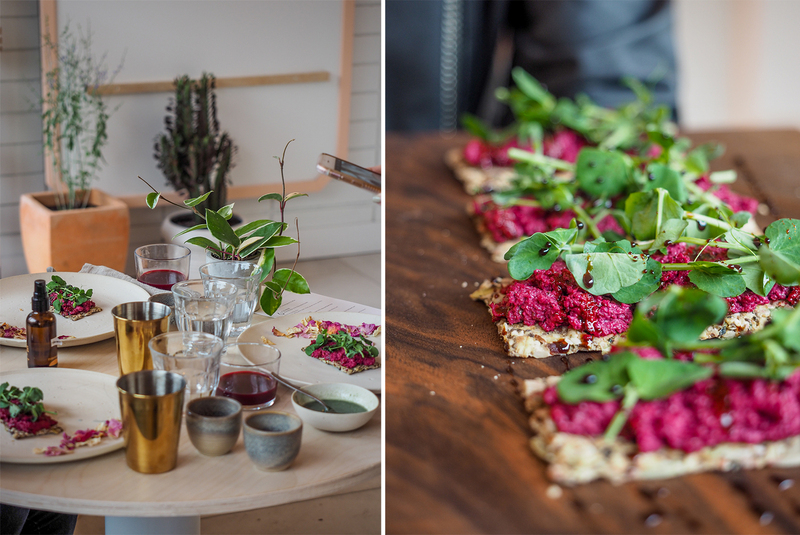 A few weeks ago I was invited to Nectar Juicery on West 7th for a “For The Love Of Breakfast” media event. 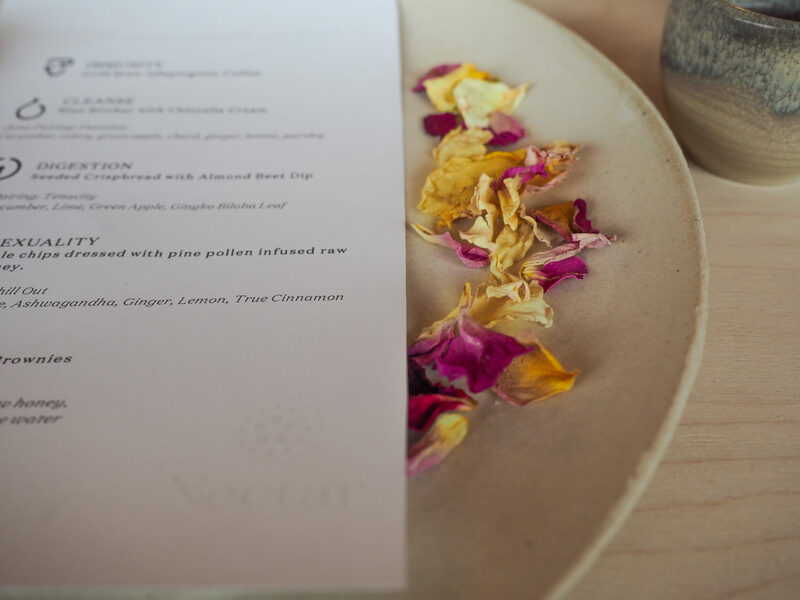 In an intimate setting, we were taken through an ayurvedic 4 course breakfast hosted by Tori Holmes, founder of Nectar Juicery. I didn’t know what to expect because I always thought of Nectar Juicery as simply, a juicery. A place to grab a quick juice as Vancouver has so many of them, I couldn’t expect them to be different from each other. Tori explained to us that Nectar Juicery is much more than a juice bar, they are a wellness brand. 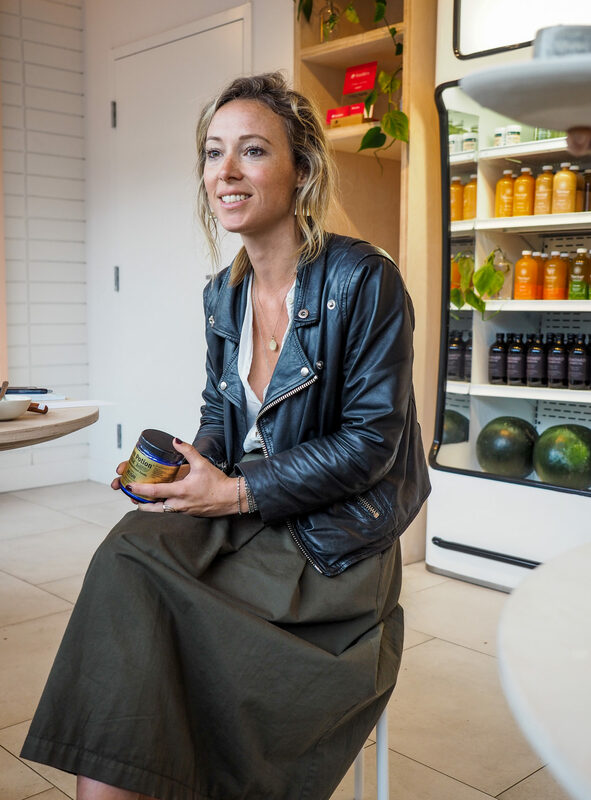 Through Tori’s studies in Holistic Nutrition and herbology, she has found a way to educate us on vitality through the vessel of a juice bar. 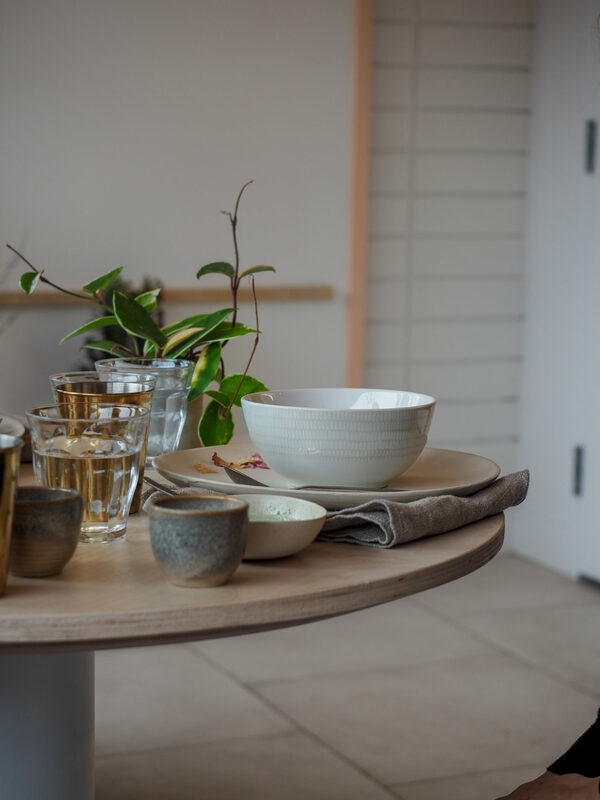 I was blown away with the information that was provided to us on what our 4-course menu included and how easy it was for us to create these simple meals at home for ourselves. Using simple and organic ingredients, we too can have the vitality to get through our every day and the power starts on the inside through what we intake. We just need to focus on what our cause and effects are each time we place something into our bodies. I left feeling so uplifted that I had to share the news with Alex and my friends. I just knew that my friends would love the same experience that I needed to host my own ayurvedic breakfast for them. Fast forward to last Saturday and I brought together 4 of my closest people to join me in enriching their lives. Besides having the breakfast, Tori went above and beyond in sharing her information in holistic nutrition. Because I knew this would be such an enriching experiencing, I chose people who are specifically going through life transitions. What exactly was so great about this breakfast? 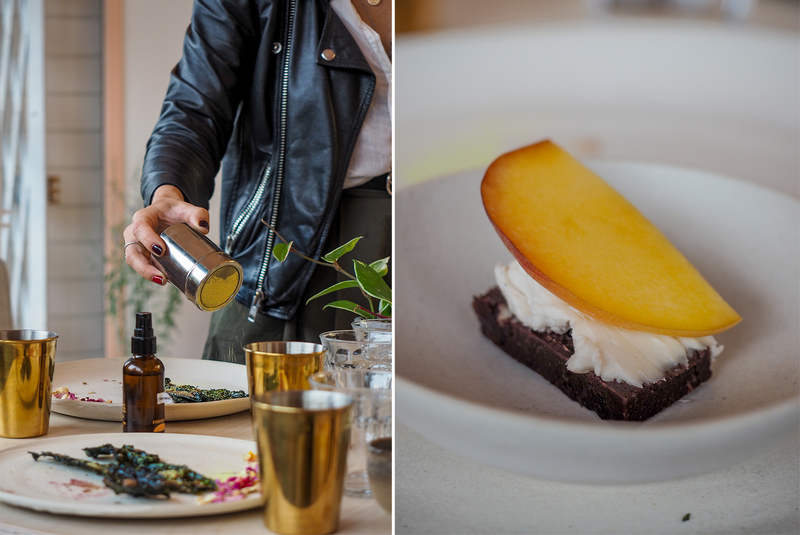 We became educated on thousand-year-old remedies and how to apply its power to modern living with easily absorbed, nutrient-rich juices, food and adaptogens. Nectar believes that offering your body food that’s a source of both strength and medicine is the most important way to start your day. You notice the changes – from mental clarity to ease of mobility – when you place emphasis on giving your body what it naturally needs. Through our journey, we were taught about the 3 Doshas in Ayurvedic living. Tori helped us understand which of the 3 doshas we were and how we can use food and holistic practices to better our bodies and understand our causes and effects. 3. Kapha – It is the watery element, it is characterised by heaviness, cold, tenderness, softness, slowness, lubrication, and the carrier of nutrients. It is nourishing element of the body. All the soft organs are made by kapha, it plays an important role in taste perception, Joint nourishment and lubrication. Surprise, surprise, I am Pitta! Tori walked me through what it takes to maintain a Pitta in relationships with Alex and my friends and provided me on the knowledge to understand what my body needs and how to give it. I’ve currently taken on some recommended practices and every day rituals but for the lack of making this post longer than it already is, I’m going to post about it separately, another time. If you would also like to understand which Dosha you are, I recommend this quick quiz. This breakfast was a great learning experience for us and I’m looking forward to adapting my new practices and eating routines into my every day life. Tori is holding these breakfasts on a booking basis. A 4 course food and juice pairing. 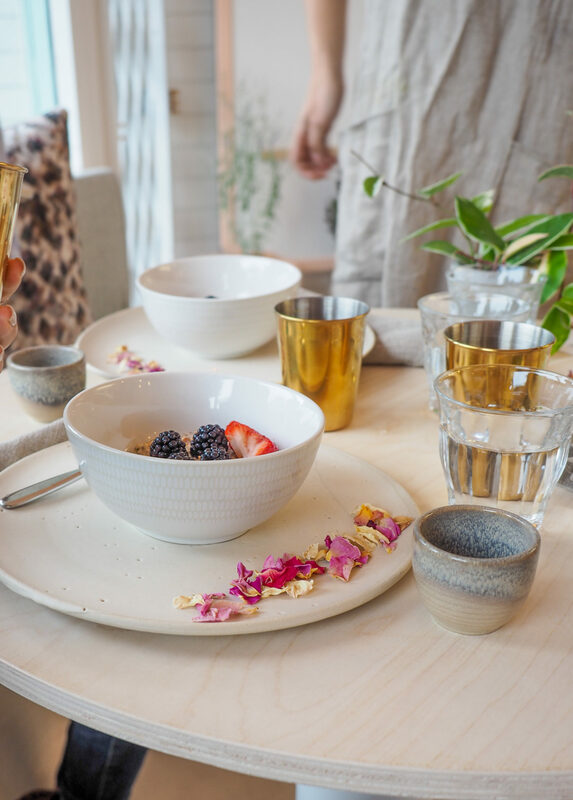 A conversation with Nectar founder Tori Holmes on how to build yourself a ritual and incorporate medicinal foods into everyday living. I really hope some of you take advantage of this breakfast because it opened my eyes! It’s a lot of fun when you gather some girlfriends but just a heads up that you can get into some deep thoughts and answers about your life so I would suggest going with people you know well. Adaptogens: a natural substance considered to help the body adapt to stress and to exert a normalizing effect upon bodily processes. A well-known example is ginseng. Ayurveda / ayurvedic: the traditional Hindu system of medicine, which is based on the idea of balance in bodily systems and uses diet, herbal treatment, and yogic breathing. SEXUALITY: Kale chips dressed with pine pollen infused raw honey.